Ah, wild camping. Waking up in the early hours of the morning to the sound of nothing but grass blowing in the breeze and a small stream trickling nearby, all while you’re still tucked up and warm in your sleeping bag. Not much can beat it, which is why hundreds, if not thousands each weekend seek out wild places to get away from everyday life. Unlike some other relaxation methods such as spa sessions, Mediterranean holidays or Tai Chi classes, wild camping costs very little and can be enjoyed by everyone. All it involves is finding a nice quiet spot outdoors and then going to sleep for the night – quite straightforward isn’t it! Of course there are always questions when trying something different, and the idea of sleeping outside with nothing around for miles can seem daunting at first. What do I need to bring? Where can I go? Where do I find water? Let us try to answer these questions and put your worries to ease with the advice below. Perhaps one of the most common question asked by those who want to try wild camping, and the answer is perhaps a little surprising – you don’t need to bring as much as you may think. When packing your rucksack make sure that you have thought about suitable equipment for the environment you are camping in. For example you will not need as much warm clothing in the height of Summer as you may do in the late months of Autumn. Tent (or bivy bag if you’re feeling really adventurous) – small and light, remember you’re going to be carrying this! Sleeping bag – down insulation is warmer than synthetic, but more expensive. Bring two to add extra warmth. Sleeping mat – inflatable mats provide greater warmth than foam, but are more expensive. Don’t leave this at home – that’s a mistake you only make once. Food – dried food such as pasta or noodles are easy to carry and quick to cook. Remember to bring reserves in case of emergency. Stove – Trangia stoves or gas stoves are your best option as they are relatively light and boil water quickly. Cutlery and bowls – remember some napkins to clean them afterwards. Spare underwear and socks – there’s nothing better than a dry pair of socks at the end of the day. Waterproof clothing – self explanatory. Insect spray – nothing worse than getting set up for the evening only to be ate by insects the whole night. Spare torch – highly recommended. Bring spare batteries too. Waterbottle – 1L for drinking as you walk and another 1.5L for cooking. Alternatively bring a purification system, more on that below. First aid kit – make sure to include plasters, bandages, antiseptic wipes, tick removers and splint. Make sure to know how to use them. Of course the above list is only a basic example and personal needs may vary. If you know that you run cold then make sure to bring extra warm clothes or if you know you tire easily when walking, bring some extra sweets to keep you going. Unlike Scotland, with its’ Right to Wild Camp policy, outdoor enthusiasts in England, Wales and Northern Ireland have no legal right to wild camp. However that doesn’t mean that in certain areas wild camping isn’t tolerated by land owners. In practice, if you use some common sense and be discreet about your stay, no one will bother you. From our experience of wild camping over many years, the best approach has always been to arrive slightly later in the evening and leave early in the morning. This approach means you are less likely to be seen, and by taking all your litter with you when you leave (which you should absolutely be doing regardless of permission to camp or not), means you leave no trace that you were ever there in the first place. When deciding where to go it is also recommended to take into consideration the time of year and how many other campers may have the same spot in mind as you do. Beaches and popular lakesides may seem like a good idea at the time, but you might feel differently when you’re bothered by other people with the same idea. By walking further off the beaten track and avoiding well known campsites you often find even better wild campsites that you can have all to yourself. Try to place your campsite relatively close to a water source (less time collecting water means more time to drink tea) but not so close that you are at risk of waking up in the flooded river, or worse; bitten by the fearsome midge that live there! Pitching your tent in a sheltered area means a warmer and more peaceful sleep but sadly also means there is no breeze to blow away the swarms of midges that inevitably follow you no matter where you go. If you can do all of the above and still find a relatively flat piece of ground with an idyllic view, then you’ve hit the jackpot as places like these are few and far between. Possibly one of the biggest factors that put people off wild camping, it’s the old familiar: rain. What could be worse than being outside in the fresh air when all of a sudden it starts raining? Well, for a start, being indoors when it is sunny outside is definitely worse! Add to the fact that you have remembered to pack your waterproof coat and well, rain starts to become less of an issue. With weather forecasts today being more accurate than ever, it’s not hard to plan your camping trip around the weather. Keep your eye on the weather forecast and jump at the first chance of clear skies that you see. Though bear in mind that weather conditions in the mountains can change very quickly and you should be prepared for this accordingly. If the rain does happen to downpour the entire night you are outside, remember this: the most memorable camping trips are often the ones that you don’t enjoy at the time. So when you find yourself wrapped in your sleeping bag trying to sleep amidst the noise of rain hitting off your tent, remember that it may not be enjoyable at the time, but you will treasure those memories looking back. Carrying your own drinking water is probably the safest option you have when it comes to quenching your thirst in the great outdoors, however that doesn’t mean that with care and attention you can’t source yourself a body of water that can be used for cooking and drinking. Water filters and treatment solutions make for a great method to purify the water you find in the outdoors, however some methods are better than others. When collecting water to purify, it is best to collect as close to the source as you can, which usually means traveling upstream. Water treatment solutions include iodine droplets that are added to bottles of water, pre-boiling your water before you drink it, to water filters that filter the water as you drink; meaning you can fill from rivers and drink straight away. While it is never ideal to pack so little that you spend the night shivering away underneath a poncho in the lashing winds and pouring rain (we learned that the hard way), it’s also never ideal to pack so much that your walk to the campsite becomes a test of mental a physical ability (sadly we’ve learned this the hard way too)! The best place to be on the lightweight to heavyweight scale with your rucksack is somewhere in the middle. Just like the Goldilocks and the Three Bears children’s story – it’s often somewhere in the middle that is “just right” for your rucksack. You will want to pack enough clothes and equipment to make sure you have a comfortable night, but not so much that means you will be unable to enjoy your walk outdoors. 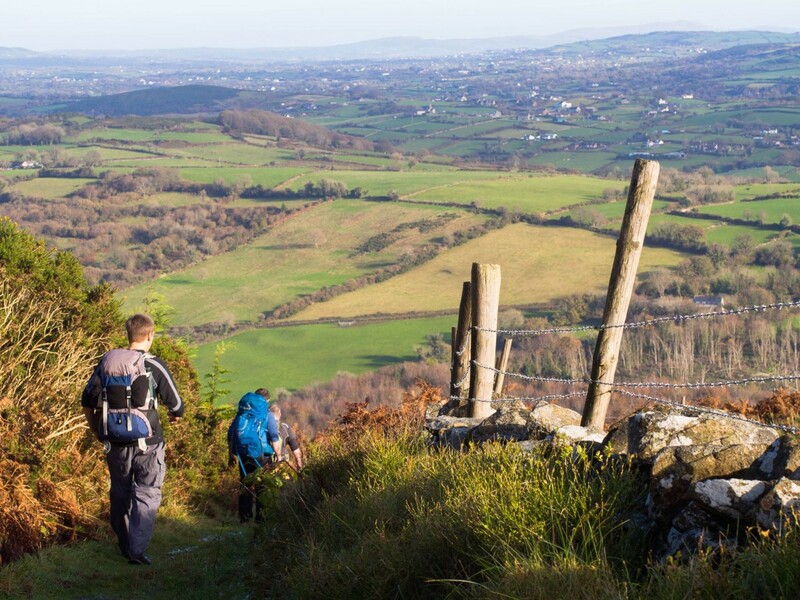 By packing a light rucksack and excluding unnecessary items you leave yourself with more energy to enjoy your time outdoors. Packing light doesn’t have to mean excluding key items from your list; modern outdoor technology and manufacturing means that quality lightweight gear has become more and more affordable to hiking and camping enthusiasts. If you’re looking to save space consider these options: bring a smaller tent, collect water at your campsite, only bring one plate of bowl that can be washed and reused and leave your technological items at home. There are many things to consider when it comes to safety outdoors, and staying safe and making sure you get home again is a top priority. Letting someone know where you are going and when you plan to return. Checking weather forecasts to ensure it is safe to venture into the great outdoors. Making sure you have the necessary equipment for what you plan to do. Don’t rely on mobile phone signal to load maps or weather reports, as signal in the mountains or countryside can be patchy at best. Instead buy a printed map (they don’t even need batteries!) and print the weather reports before you leave the house. It’s also important to know how to use these tools – there are a number of great resources on how to read a map and compass. Another important point to make concerns parking your car overnight. Because of the remoteness of some carparks, they can become hotspots for theft. To avoid this, see if it is possible to get left off somewhere or even use public transport if available. You may also consider asking a local farmer or neighbour if you can park your car in their lane, they may say no, but you don’t know until you ask! Last, but certainly not least, leaving no trace is by far one of the most important aspects of wild camping that you should learn. By making sure the area you camped in is left in the condition you would expect to find it, the future and sustainability of the outdoors is preserved for future generations. 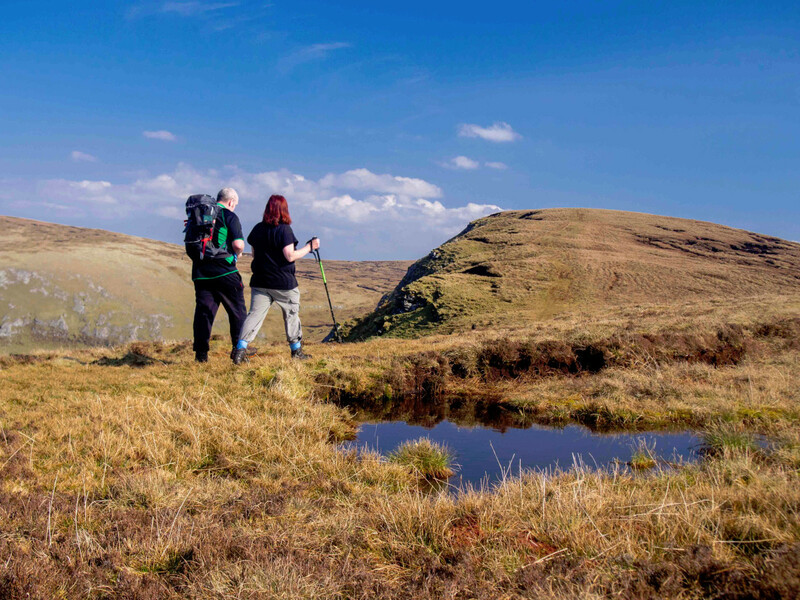 By leaving no trace of your stay, you ensure future campers and hillwalkers can enjoy the outdoors the way nature intended. Did we miss any tips out? 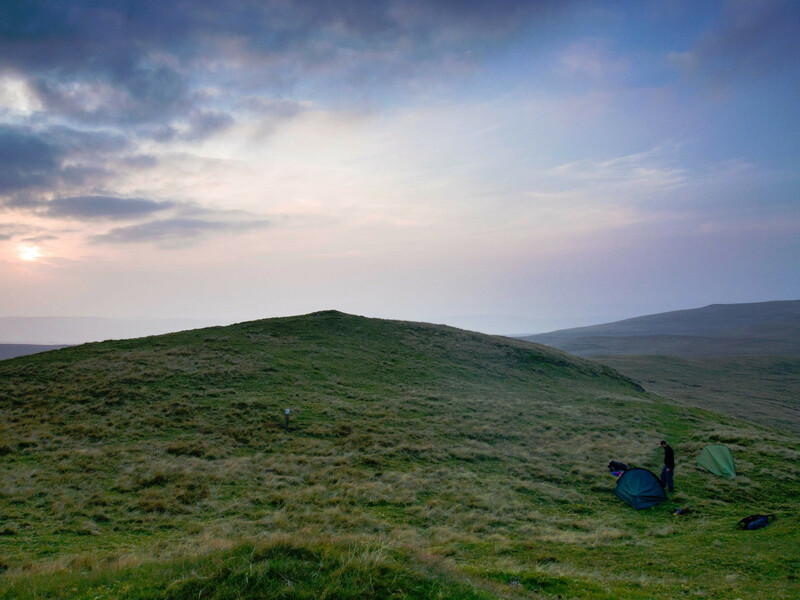 Still have questions about wild camping? Let us know in the comments below!